This office space is situated in the prestigious Beecroft development, close to the Cannock town centre. 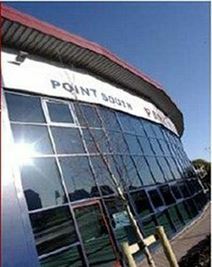 Office space is available on the ground floor of this modern building, and parking is available for five cars. Excellent value agreements comprising rental, business rates, water and electricity, service charges including central switchboard/telephone-answering, cleaning of communal areas, building insurance and maintenance and external CCTV protection. All furniture included as well as shared kitchen facilities, WC on each floor, carpets, access flooring and tea points, in a classic office building beautifully-situated 1 mile from Cannock town centre with Cannock rail station half that distance with regular frequent links to Birmingham and Stafford. Also easy access to new M6 toll road via J7 and A5/A34/A460. Set in a modern office park, this serviced office space can be let as one space or split into three self-contained units, and offers a range of business amenities. Nearby is a large supermarket, and the centre is easily accessible via the A460. Recently refurbished offices are available only 1 mile from the centre of Cannock. 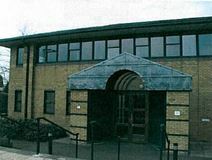 The offices come unfurnished and rent is inclusive of business rates and utilities. A reception is located on-site, and 24 hour access with storage options is available. Rail services and motorways are also accessible from this excellent location. 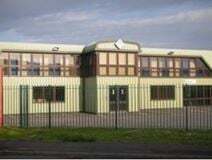 Situated on the outskirts of Cannock, this centre offers professional office space with flexible terms, an all inclusive rate and a dedicated storage unit for tenants to make use of. Offices range from 140 sqft to 370 sqft. There is a high level of security onsite, with CCTV monitoring 24/7, the centre also has kitchen facilities, broadband infrastructure and large conference room facilities. Cannock town centre is just a five minute drive away. This centre is well equipped with facilities including meeting rooms, a boardroom, a professional reception area, access to kitchen facilities, conference facilities and parking spaces. Transport links are good, with Junctions 11 and 12 of the M6, and Junction 7 of the M6 Toll easily accessible, and in Cannock Town Centre, the railway station runs services to Walsall and through to Birmingham New Street. These fantastic air conditioned offices can be rented on flexible terms, and are located just a five minute drive from the town of Cannock. Benefits of this site include meeting room availability, office servicing, reception staff and an on-site café. The building is also surrounded by a wealth of shops and restaurants and is excellently placed for both road and rail services, including direct services to Birmingham. This centre is well equipped with facilities, including free WiFi, reception services, a security system, and some wonderful technology such as charging ports for electric vehicles - perfect if using one for your commute. 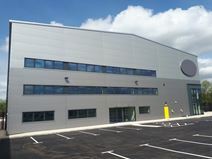 Located just over a mile from Cannock Railway Station, the space is well connected and also has good road access with Junction 11&12 of the M6 just five minutes away. The offices are accessible 24-hours a day.